Questions that lead to inner clarity and unravel the core of your being. I would love to share with you a wonderful way to more clarity. A way that is very dear to my heart. Since I discovered „The Work of Byron Katie“ in 1999 the questions of this method are my favorite. Having a deep respect for the wisdom inherent in each person, I love using questions that lead you to your own wisdom, your abilities, your own strengths and your capacity to love. Besides using The Work, I coach you in whatever way feels appropriate, also using Radical Forgiveness processes. Whether you are looking for a change in your profession, are in a crisis in your relationship, have to deal with a divorce, are stressed with your children or your neighbours, can’t let go of a painful past, seek a new way to deal with conflict and criticism, suffer from self-loathing and feelings of guilt or if you are looking for guidance, I will gladly coach you to find your way to clarity and peace. If you would like to do The Work or be lead through a Radical Forgiveness process, please contact me. 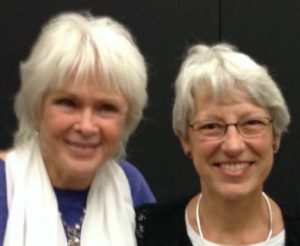 I work on the phone, on Skype and in person (Winterthur, Switzerland) and I offer introductury or advanced workshops in The Work of Byron Katie in English on request. I am a Certified Facilitator for The Work, a Systemic Integrative Family therapist, a breathwork therapist and a radical forgiveness coach. It would be my joy to share with you this precious work. In many countries all over the world, „The Work“ is seen as one of the most efficient ways to solve conflicts in relationships, in families, between friends and at work. Concepts and belief patterns that limit and restrict us are identified und investigated. This process of the four questions and the turnarounds shows us what is hidden in repetitive behaviour patterns. The energy that is freed by this process enables us to live with clarity, ease and spontaneity. Come question the thoughts that are keeping you from living a joy filled life. Four questions and a turnaround is the process through which you can access the deeper truth that awaits on the other side of your stressful beliefs. The first step in The Work is to pay attention and notice your stressful thoughts, and to write them down without trying to censor any of them. Once written down, you can then enter inquiry with the four questions and turnaround. The questions open the mind and kindly invite introspection and deep self-reflection. The inquiry with the four questions is followed by the turnaround. The turnaround invites us to see what we could not see before and to open up to another side of reality. www.thework.com – This is the first stop for anyone who wants to learn about The Work and download lots of useful information. www.instituteforthework.com – This website is for school graduates who wish to stay immered in The Work or join the certification program. Radical Forgiveness is a powerful alternative to traditional forgiveness. It provides the tools with which to shift perception in order to see that not only does everything happen for a reason but that everything that does happen can be seen as an asset to one’s life journey. Blaming someone else, feeling a victim of someone else’s behavior is exhausting and perpetuates a feeling of powerlessness. With Radical Forgiveness, we see that there is nothing to forgive. That is a radical idea! Learning how to see the perfection and the benefits of the events that have come up in life provides an amazing sense of freedom and personal empowerment. The Radical Forgiveness process is simple and can have an instantaneous effect on your life. No matter how complicated you feel your story is, if you surrender to the tools and the steps and most importantly are willing to have a radical change in your life, it can happen so quickly that you will be amazed at how your life has suddenly become your own. When you no longer hold anyone else responsible for how you feel, the journey of life truly begins. I love to support you in finding peace, self love and become personally empowered. Without blame we see each other through eyes of true love. Although The Work can be done alone, practicing it with a facilitator can be very powerful. I am available for private consultations, either on the phone, per Skype or in person at my office, in Winterthur. or CHF 1’200.- for 10 sessions booked and paied in advance. Payment is due at the end of the session in cash or if it is a Skype or phone consultation in advance through PayPal or bank wire transfer, unless other arrangements have been made. For workshops you will get a bulletin de versement.